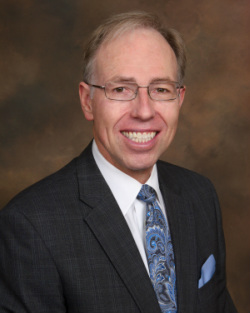 Born and raised in Utah, Dr. Davis received his undergraduate degree from the University of Utah and completed dental school in San Francisco at the University of the Pacific's Arthur Dugoni School of Dentistry, where he graduated in 1981. He then spent some time in Texas working in the Public Health Service before returning to Utah to begin private practice in 1983. Since that time, he has built a practice focused on providing exemplary individualized dental care to his patients. Our patients love the personal care and attention they receive from Dr. Davis, and they love how easily he calms their fears about receiving dental treatment. Many of his patients have been coming to him since they were children, and now bring their families here to receive the compassionate treatment that Dr. Davis gives to all his patients. They also love the fact that Dr. Davis has the knowledge, experience, and steady hand to perform many procedures that other dentists refer out to other doctors, including root canals and oral surgery. Dr. Davis is a member of the American Dental Association, and the Utah Dental Association. Dr. Davis also speaks Spanish fluently. In his spare time, Dr. Davis is active as a leader in church and scouting activities. In 2015 he was presented the Silver Beaver Award by the Great Salt Lake Council of the Boy Scouts of America. He spends as much time as possible with his wife, children and grandchildren. He is also an avid hiker and mountaineer. He climbed to Mount Everest base camp in 2006, climbed several peaks in Ecuador in 2008, and has recently returned from a climb on Mount Elbrus in the Caucus Mountains in southern Russia.